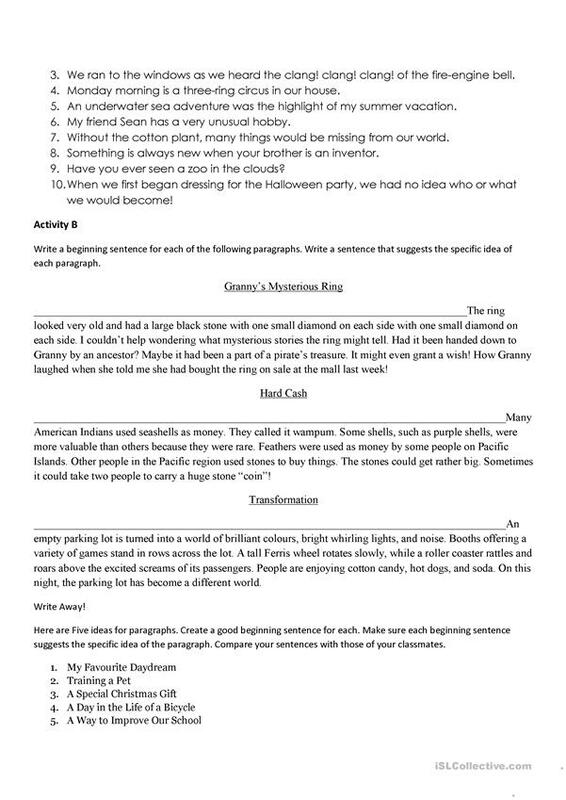 These are some good exercises for teaching students who are learning about paragraph writing. This exercise is a good way to also practice creative writing, adjective\adverb use, and vocabulary expansion. The above printable, downloadable handout is recommended for high school students and elementary school students at Pre-intermediate (A2), Intermediate (B1) and Upper-intermediate (B2) level. 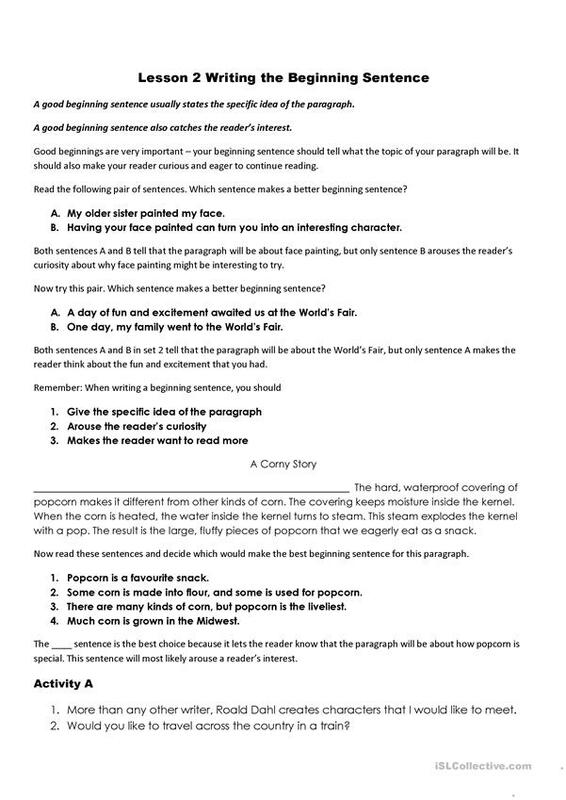 It is a valuable material for honing your students' Reading and Writing skills. hyc47 is from/lives in Canada and has been a member of iSLCollective since 2012-03-02 16:53:36. hyc47 last logged in on 2013-09-06 20:28:33, and has shared 1 resources on iSLCollective so far.